Portela Airport in Lisbon is the busiest in Portugal. Both passengers and cargo levels are increasing rapidly and this heavy usage has necessitated an expansion in capacity. Eventually, a totally new airport needs to be built in order to avoid unacceptable levels of congestion. 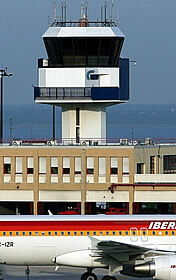 Portela Airport is owned by ANA Aeroportos de Portugal, which is a wholly state-owned authority.